Carly feels very blessed to have been brought up in this beautiful southern region and now she and her husband have chosen to raise their own two children here. Naturally, she never tires of an opportunity to share her love of the area and all it has to offer! A natural communicator with boundless energy, Carly combines a can-do attitude with an ability to think outside the square. Always professional, she is committed to achieving outcomes for her clients that exceed expectations. With Carly, you will always come first. Expect clear and consistent communication, utmost integrity and genuine care from an agent that knows that building trust is at the heart of every successful transaction. With Carly’s intimate understanding of the local market and current property trends, no-one is better placed, or more dedicated, to working with you to achieve the best results within the shortest possible timeframe. With an impressive sales history spaning more than 15 years, Carly also looks forward to putting her considerable negotiating talents to work for you. Knowing your time is precious and how demanding it can be to buy or sell property, Carly aims to make the process as straightforward and stress-free as possible, while helping to create the space you need for new and exciting possibilities in your life. To explore these and more, please contact Carly on 0422 736 454. Edward Mount provides a motivated, new, enthusiastic approach to real estate in the Fleurieu Community. He is constantly training with industry professionals to keep up with the ever-growing market. 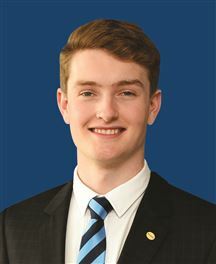 Edward has a wide knowledge in business studying Commerce at Adelaide University with a passion for selling residential real estate across the Fleurieu with Harcourts Wine Coast Real Estate, a multi-award-winning agency. When Edward is not in the office he resides at Aldinga beach enjoying the luxury of Port Willunga and the proximity of local regions like McLaren Vale and Willunga, often enjoying the locality of the Saturday markets. Edward Mount’s hardworking, organisational and perfectionism characteristics make him a reliable agent to help buy or sell your next property. Having previously worked in an important role in Conveyancing and personally experiencing the buying and selling process, Holly has developed a passion for property and appreciates its significance. With a young family of her own, she understands people lead busy lives and the need for a smooth transaction. With more than twelve years of experience in customer service, Holly values the importance of providing great service and enjoys the opportunity to build a rapport with clients from different age groups and cultural backgrounds. Holly loves the lifestyle in southern Adelaide and is part of a family who has lived in Aldinga Beach for five generations. Away from work she enjoys fishing, live music and activities with her partner and two children. When choosing a reliable sales consultant, Holly offers a genuine approach! 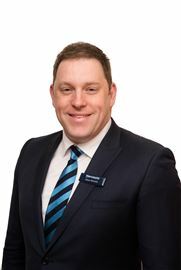 Nigel Christie Rural and Rural Lifestyle Property Specialist - Harcourts Wine Coast. Providing sales solutions for Rural South Australians since 1994. I'm Fully mobile & ready to come to you and prepare a tailored plan to sell your property. Experience is the Key! - Rural Industries I have been involved in Selling: * Rural Living Small Acreage within 30-90 minutes from Adelaide city * Vineyards and Wineries * Cattle/Sheep Grazing/Stud Properties * Horse properties - Stud & lifestyle * Horticulture Properties - Fruit, olives and Nuts, Vegetables, lucerne & flowers * Rural/Rural Living Subdivision and property maximising advice * Cropping and grazing properties throughout the whole of SA * Sheep & Cattle Stations * Aquaculture Properties - Inland, and Sea Based * Intensive Animal Keeping - Cattle/Sheep Feedlots * Commercial Properties and Rural Based Business * Bush/Lifestyle properties My Real Estate Career - Since 1994 2018 Joined forces with Harcourts SA to manage the Rural, & Rural Living, properties. The Harcourts Wine Coast team was a perfect fit with my business as the outstanding administration team look after me and my clients with ease. 2015-2018 Contract with Landmark Harcourts Strathalbyn. 2012 Toughest listing – selling the Snowtown Bank using eBay as the medium to obtain as much exposure as possible for the property. Unfortunately the eBay rules made it fairly difficult to bid over half of the reserve price. However, it did show that online auction for property works. 2010 Now Continually Adopting new electronic media and other alternative forms of property marketing. 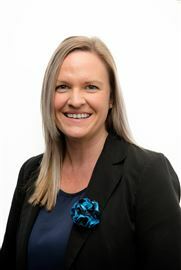 2009 Company Director for Hale Real Estate Pty Ltd. 2009 Rural Division Committee Member (Fleurieu and Hills) of Real Estate Institute SA. 2008-2009 Rural Division Chairman of Real Estate Institute SA, involved in drafting and implementing various systems to assist Rural Real Estate practitioners across SA. 2004–2009 Hired by David Pilling on Many occasions as Guest speaker at Real Estate conferences to discuss topics such as “How I achieved $1.1M when the owner only wanted $450k”, “Adopting a Penalty to Bonus Selling fee”, “The importance of a tailored marketing campaign”, “How to sell in 30 Days in a tough market”, “Door knocking For BUYERS!”, “Paying for your Commission using 3 Phase Negotiation." 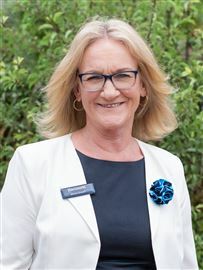 2002-2005 Rural Real Estate Lecturer at TAFE Panorama Campus. 2000 Hired and flown to New Zealand by the Wrightsons company (the equivalent of Landmark in Aus.) Delivered 5 seminars in 5 days and taught over 120 salespeople how to sell within 30 Days using the Buyer Range and Set Sale Systems. 1997 Attended first Pilling Systems Conference, learned the Systems and Disciplines of the Set Sale and Buyer Ranged Selling systems, adopted them in the market with amazing results selling properties previously on the market for 18-24 months – within 30 Days. 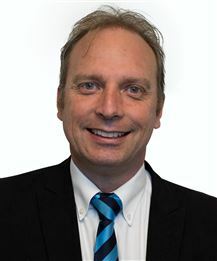 1994 Nigel joined Hale Real Estate (Family Rural Property Agency) and immediately dived into an extremely poor Real Estate market for both Rural and Residential sales. 1988-1994 Systems Controller at Australian Submarine Corporation where I learnt the importance of implementing and adhering to systems in the workplace. 1982-1987 Attended Urrbrae Agricultural High School and learned an enormous amount about most Rural industries which are carried out in South Australia. Competitive, focussed, caring and loves a challenge! Shona hails from New Zealand and has resided in Australia since 1982. Darwin then became her home for the next eleven years, where she worked as a teacher. She, her husband and their four children moved to Adelaide in 1993, where she continued to teach in a variety of classroom environments. 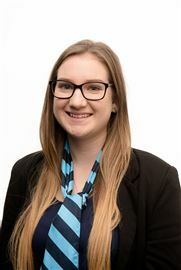 Teaching from Reception through to Year Nine, in subjects ranging from Music to Physical Education, Shona adored teaching. 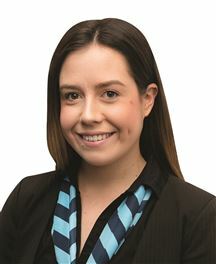 She taught at several schools in the Southern area and Marymount College, most recently fulfilling the role of Physical Education/Science Specialist Teacher at Hallett Cove East Primary School. Her athletic competence and skill-set was also put to use with her national ‘B’ Grade Netball accreditation. She has umpired State League games for Netball S.A., in addition to coaching both school and club netball. The southern suburbs have been home for Shona for more than twenty-five years and she is very grateful for the lifestyle and picturesque coastline that living in the area provides. During this time she has developed an expansive network of friends, team mates and colleagues. She loves residing and working in this appealing pocket of Adelaide and would be lost without her morning run along our beautiful beaches! Swapping the classroom and sports oval for real estate was an exciting and positive step for Shona, who undertook extensive training at REISA. With a combination of solid people skills, a fiesty competitive spirit and personal pride, this career was a natural conclusion. 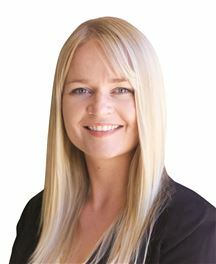 After working and extending her training with another award winning Real Estate Agency she has come to Harcourt’s Wine Coast to continue to strive for the best for her clients. Shona’s passion for this industry is combined with a determination to listen to her client’s needs and deliver an exceptional service, with a smile. Call her today to experience empathy with experience. 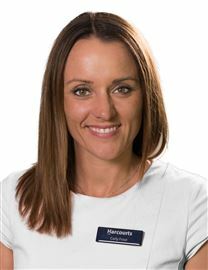 Sarah started in the real estate industry in 2008 as Finance Manager for Sales (Southgate) after running a family business (Finance for Hotels) for 4 years. Sarah started as a Property Manager in 2014 and has 2 investment properties of her own. Married with a 7 year old son who she spends most of her time watching play football - being the team Manager for Aldinga U/8’s and she support the crows! Sarah prides herself on treating people equally and having positive relationships with both landlords and tenants alike. Velvet Fields at Inman valley. Rammed Earth with Ocean Views! A Slice of Local History! Live Outdoors All Year Round! Ready to Move In! Or Rent Out! Historic Cottages with a view! NEW PRICE - Vendor says sell! Funky Retro & Modern Living! An Original But a Beauty! A Jewel in the Scrub! Stroll to the Moana Surf! Just Move In and Relax! Build Your Dream or Develop! Imagine Your New Home Here!